Just imagine. You smell fresh baked bread, homemade cookies, or roasted turkey and dressing. The timer dings hopefully; the oven door opens and releases the scent of wonder. Even the subtle grinding of the smoothie blender is beautiful. The subtle drip of brewing coffee gets you out of bed. The soft clink of wine glasses motivates you to leave the couch and TV to talk to your family. The opening of the refrigerator brings everyone, dogs included, straight to one room. Where is all this magic possible? It's the heart of the home, the most important room in the house. The kitchen is the place where it happens, whatever “it' is to you and your family. Just the word “kitchen” is enough to evoke smells and tastes and feelings unique to the room with the stove and the sink. But what if your kitchen doesn't inspire such love? What if your kitchen is not the room where everyone flocks but the room that everyone avoids? What happens when your home is missing its heart? Tearing up just thinking about it? But even a heartless home is not without hope. A dream kitchen renovation will not only revive your flatlining house, it will bring the love and the joy back into cooking, eating, and home ownership. Take control of your home and your happiness today. Learn how to update your kitchen on any budget, how to include the most important elements of a dream kitchen in your DIY plan, and how you can really make it happen. The future is now. The home and the kitchen that you have always dreamed of is within reach. Can You Hear It Beating? The kitchen is the heart of the home. It's the congregation point, the center, the soul. No matter what you have in your current kitchen or what your dream kitchen looks like, chances are, you want it to be something special. From their days as logs around the fire pit to their current iterations as tiled oases in the chaos of modern life, kitchens have been central to our existence as long as people have been walking the earth. The first and most important reason that a kitchen is the heart of the home is in its very purpose: the food. Kitchens nourish physically and have the opportunity to nourish spiritually and emotionally as well. Just as the heart pumps blood through the body and keeps it moving and grooving, the kitchen provides the food that gives the body energy to carry on. Ever wandered into the kitchen not really looking for anything specific but found comfort in the arms of a cookie or a family member? That's nourishment, my friend. A good kitchen, your dream kitchen, can provide that feeling for everyone. Kitchens also have the potential to change your life. The food you eat literally transforms who you are; if your food is made with love and a view of the future, your kitchen can change your life. No one likes cleaning the kitchen. OK, well, not very many people like cleaning the kitchen. But even if cooking and cleaning aren't your favorite, the kitchen gives you the opportunity to make it fun. The kitchen -- and especially your dream kitchen -- will give you endless options for creating family fun and memories that will last a lifetime. Invite everyone into the kitchen to cut out sugar cookies. Ask every member of your family to choose a favorite dish to make for dinner. Brainstorm creative themed snacks to make to eat with your favorite movies. The options for family kitchen fun are endless. You'll get messy, for sure, and you may create the occasional inedible plate of food. But the laughter that goes along with the experience will surely make up for any burnt smell or wasted ingredients. It's a room for everyone. All are welcome here, even the dog. Your kitchen is the perfect place for everyone to gather, and your dream kitchen is the perfect place for family, friends, and new acquaintances to get to know each other in comfort. A welcoming kitchen can be the perfect low-key room for people to mesh and talk and learn about one another without the pressure of the leather-bound study or the distractions of the TV-focused living room. Kitchens do it all. Whether or not you love it, you've gotta have it. So why not make your kitchen the best, most welcoming, most fun room in your home? A super-fun and engaging bathroom just doesn't have the same appeal. Whether you're living in a small efficiency apartment or an enormous 10 bedroom mansion, you need to have some type of kitchen. What you fill it with, though, that's totally your call. So make it your own. The “it” being your day, your house sale, or your guests' experiences. Chances are, you'll see your kitchen every day. Make it a room that will pump up your day, not bring it down. Your guests, no matter who they are or why they're visiting, will probably glimpse your kitchen, too. Even if the rest of your house is in disarray, a well-kept and uplifting kitchen can transform their impressions of your home and your life. And a beautiful kitchen can really up that resale value. So don't take it lightly. A dream kitchen may not be all about you after all. You're on board now, right? Your kitchen is ready for a makeover. But every time you walk past the hardware store, you swear that the slabs of granite countertop and the boxes of screws are laughing at you. DIY kitchen? IDK. Before you start knocking out cabinets and sledgehammering your countertops Property Brothers-style, consider your options. Sure, you can build your dream kitchen by yourself, but there are plenty of professional options for those of you who are less inclined to get your hands dirty (or just don't have a clue where to start). Even if you know next to nothing about kitchens or carpentry or houses, there are some dream kitchen updates that you can make all by yourself. You totally can hire someone to do the whole shebang for you, but if you're like most of the world and would prefer to save a few bucks, here are some elements of your project you can take on solo. (AKA things you can make your kids do). You can paint. He can paint. She can paint. Everyone can paint! Buying your paint and brushes and using your own arms and hands and ladders to paint your kitchen walls is an easy way to save a ton of money. Consider using semi-gloss for the kitchen, but other than that, do your own research about brushes for your project and colors for your room. Kids can for sure help with this one, too. It might be a little intimidating at first, but you can figure it out. Really, you can. With a little bit of investigation, you can discover the secrets of your cabinet hardware and even your faucets. Turn the water off before you replace the kitchen sink faucet and make sure you measure carefully before you buy your new accessories, but it won't take too much work or know-how to get the job done. While you're at it, consider repainting or staining your cabinetry, too! See above for whether or not you need a painting pro. Honestly, most of it is just a matter of unplugging, moving, and plugging in. Even refrigerators. Research delivery and removal options, but consider waiving that installation fee for most of your basic kitchen appliances. Your checking account will thank you, and you'll feel pretty proud. This also goes for installing a garbage disposal. You'll probably learn more than you ever thought you wanted to know about basic plumbing, but the directions on the disposal package should pretty much take you step-by-step through the installation process. Just don't turn it on with your hand stuck inside. There are so many lighting options these days, the hardest part will probably be just deciding what you want, not the actual installation. Choose an updated fixture, add some additional lights under your cabinets, or just change out the bulbs. Lots of lighting options to make it even easier to tell the difference between the salt and the sugar. Seems hard, right? It's not. Options abound when it comes to kitchen backsplashes, and they're all pretty user-friendly. Tiles and basic grout are popular and easy to install, but so are adhesive options. Wood, wallpaper, sheeting -- all legit. One thing to think about, though: how will your electrical outlets play into the backsplash project? Make sure you factor them in when starting, or consult a professional electrician to move them around if that's what you need. You really, truly can install your own new floors in your kitchen to give it a fresh, fun pop of color or cleanliness. Research the type of flooring you currently have to discover how much work you'll need to put into removal (can you apply new flooring over what is already there? Can you just peel up the linoleum?) and choose a new favorite. And while you can certainly tackle your whole project on your own -- and if you do, more power to you -- but if you're unsure or don't want to take the time to learn, buy, and install, there are some projects that really might be better in the hands of a professional. If walls are coming down and the sink is moving sides, it might be time to bring in the big sledgehammers. Or at least someone who has more experience using them. Moving a fridge from one side of the kitchen to the other is one thing, but when electrical work, plumbing, and walls or load-bearing columns enter the mix, you might be better off consulting with a professional to make sure your dream kitchen is achievable, safe, and affordable. It doesn't sound very difficult, especially now that you're feeling confident about backsplashes and all that, but it's a little trickier than you might expect. Adding an exhaust fan to your kitchen involves creating a way for the air to get outside, which might not be something you are (or should be) super comfortable doing yourself. You'll also have to seal it and potentially run new electrical lines, so it might be in your best interests to just hire out here. Sure, you could do it. But should you? Ultimately, the choice is up to you, but cabinetry is one area to splurge. Cabinet accuracy is pretty easy to mess up, and you don't want to have to tear out your brand-new DIY cabinets just because they're all kinds of crooked or weird-shaped. Consider measuring for cabinets yourself and just hiring someone to come in and install them instead of doing the whole thing yourself. It's generally just easier and faster to get someone else to do your countertops. The pros have the tools, the know-how, and the resources to get your countertop material faster and get them installed better than you can. It's just the truth. Some exceptions? If you're getting into concrete counters and have access to some fresh concrete and want to mess with that, go wild. Also, if you're considering adding new laminate to your countertops, that's affordable and easy DIY. So you've got options. What Comes First, the Dream Kitchen or the Egg? Designing your dream kitchen can be overwhelming before you even pick up a hammer or your checkbook. But it doesn't have to be. Take it step by step, take your time, and take it easy. After all, pretty soon you're going to have your dream kitchen! First, make some big choices. Will you go for total DIY or will you hire a designer or contractor? How much of your kitchen are you remodeling? Just cabinets? Just need some new appliances? The whole thing? What floor plan or overall kitchen layout do you have in your dream kitchen? See below for some options. Will you need an electrician or plumber or both? Research and interview before you hire. Now for the smaller, but still important, steps. Do you need or want new appliances? Fixtures? What style or type are you into? Are you going to refurbish some antiques or buy all-new modern stuff? What type of storage systems are you into? Traditional wooden cabinets? Newfangled garage door-like cupboards? Cabinet inserts? If you haven't already thought about it, get into lighting design and fixtures. Will they give you enough light even when it's dark out? And then make it pretty. Paint for walls? What about paint for cupboards? Flooring? Are you sticking with the same-old or updating? Backsplash? Do you need any? Want any? The world is your oyster. Decorations? Wall art? Yeah, kitchens looks cool with paintings and posters, too! Believe it or not, you have a lot of options when it comes to kitchen floor plans. The days of a square of linoleum, a stove in one corner and a sink in the other, are long gone. And, as overwhelming as that might be at the beginning, it's actually a good thing. Some of your kitchen floor plan is predetermined, like, by your house. But the sky (and your budget) is the limit. If you're willing and able, you can change your ineffective U-shaped monstrosity into a beautiful galley, or vice versa. No idea what that means? Read on, my friend, read on. A U-shaped kitchen is shaped… like a U. Sometimes the “U” is created by walls and/or windows, but sometimes the countertops and cabinets make up the “U” independently. A “U” typically has the sink beneath a window and the cabinets and countertops facing each other. To make a “U” kitchen feel more open, consider making one of the “U” sides a peninsula with hanging cabinets instead of a full wall. Maybe it's even the O. G. It's not, but sounds cool, right? Most times, the “G” kitchen doesn't have the little “G” tail, the walls, cabinets, and countertops just create a little three-walled oasis of a kitchen. A good “G” sized kitchen is at least 10 feet by 10 feet, and it's pretty easy to expand it and make it more open concept. Getting sick of the letters yet? The biggest pro of the “L” kitchen are the space and the open feeling it gives your kitchen and your home. Lots of times, an “L” kitchen opens out into an informal dining room, or gives easy access between the kitchen and living rooms. It's also pretty easy to add an island into an “L” kitchen design if you need more counter space or storage. Finally, a shape that doesn't rely on your knowledge of the alphabet! But it does help if you know something about ships. Just like the hallway-like galley on a ship, the galley kitchen has a tendency to be small, narrow, and not great for kitchens with lots of people or lots of foot traffic. If you can extend the galley, though, to add a bartop eating space or widen it a bit to give you and your kitchen colleagues a bit more room, a galley might be the perfect kitchen choice for your home. The powers that be must have gotten tired of coming up with cool names. A kitchen with an island can pretty much be any one of the previously listed layouts, it just, you know, has an island, too. Islands come in all shapes and sizes and can provide your kitchen with just about everything you need. And just think of how cool you'll sound telling everyone you just bought your own island. When you're planning your dream kitchen, it won't take you long to get sucked down a rabbit hole of options. Even if you're just planning a little kitchen remodel, the choices are endless: color? Style? Type? Manufacturer? And the list goes on and on. While no one can make the decision for you (it's your dream kitchen, after all), there might be some decisions that are more worthy of your time than others. Choose the countertop color that appeals to you immediately and don't spend weeks debating the style of garbage disposal. Use your time to research, consider, and install some of these fancy features instead. It's cool to be green these days. Bring the world-saving goodness into your kitchen, too. Depending on where you look, you can find energy-saving appliances of all types: dishwashers, refrigerators, freezers, faucets -- you name it, it probably comes in an energy-saving variety (look for the energy star label). Be warned, these shiny new appliances might cost a little more than their power-guzzling counterparts, but the extra bucks up front will be worth it. Not only will you save money each month when it comes time to pay the utility bill, you'll drastically reduce that carbon footprint. You don't think about it when the sunlight is streaming in, but there might be a day when you need to use your kitchen in the dark. That single-bulb modern overhead light might not do it for you those days. If you're creating a brand new dream kitchen anyway, why not add some lights under the cabinets? Even if you're not completely replacing your cabinets themselves, this little lighting addition can revolutionize your kitchen: they will make the difference between day and night. And sorry, but talk about choices. Under the cabinet lighting comes in so many varieties for every single budget, it's hard to even talk about. Wire some electricity to hook up stable and permanent little light fixtures. Buy some click-on stick-on little numbers. Do something in between. It's your call, but adding more light will be super worth it. If you're going with an island kitchen format (or are just considering adding an island to your kitchen itself), consider making your island do more. Don't, like, force it, but maybe get one that already has a variety of capabilities. Islands can be countertops, sure, but what if the top of your island was a built-in cutting board? Or what if it was full of shelves or drawers or hooks? What if you added a pot hanger to create a reachable extra layer? So many options. Your island can even be more than kitchen space. If it's tall enough, wide enough, and surrounded by enough space, your island can become a homework space, a little eatery, or the perfect spot for a quiet moment amid the chaos. Ovens, ovens, ovens. So many ovens. This is a choice you should take some time making. Some people love gas. Others induction. And still, others prefer a good old electric burner. The choice is yours, but unless you plan on building a dream kitchen every couple of years when you get sick of your range (or it breaks down because you went cheap), you really should consider your range needs. Okay, done with the serious talk. Pick a range that you'll want to come home to. Technology has moved beyond the office and living room and into the kitchen. And it's not necessarily a bad thing. Smart homes and smart appliances are making it easier than ever for you to successfully navigate and control your world, and your kitchen can be right there with the rest of the house. If this is really your dream kitchen, shouldn't it be one you can see your future self enjoying, too? Big in that you can never have enough. Luckily, there are tons of new and improved ways to add storage to your kitchen without getting rid of your living room. And if you can include any or all of these storage options in your dream kitchen plans, all the better. Dream kitchen projects are expensive. Traditionally. But with the right planning and know-how, your dream kitchen doesn't have to break the bank or even overtake the budget. Your final cost sheet might look a bit different, but this is a pretty good place to start. As you start making some big decisions, look back at the chart to see if it really fits. For example, if your dream countertop is going to cost 75% of your total budget, you might have to settle with some DIY laminate until you can save some more bucks. Or make a trade -- maybe you'll go with the perfect counter, but save moving the sink for another day. Building your dream kitchen might not be as easy as watching someone on HGTV do it, but it will be so much more satisfying. Just imagine coming home after a long day of work. You slump in the door, ready to collapse… but wait. What's that smell? When it comes to grilling, people have plenty of opinions on what works best. One of those many debates is the infamous “charcoal vs gas grill” debate, or whether or not a charcoal grill or a gas grill is better than the other. Both have their pros and cons, which is why we are going to explore all of the different facets of both charcoal and gas grills. Read on for all of the information you need to make an informed decision. This article is not intended to sway opinions one way or the other, but rather present equal information about both charcoal and gas grills. We pulled research from reputable websites and searched for the most popular charcoal and gas grills available on the market, comparing and contrasting common features of each. This is strictly intended as an informational piece and is not sponsored by any brand or company. How Do Charcoal Grills Work? The science behind both charcoal and gas grills is actually pretty fascinating. Basic charcoal grills only need three different parts: a cooking surface, a grill support, and a charcoal container. Charcoal pieces go into the charcoal container and are then covered by a rounded grill top. By lighting the charcoal on fire with a match, the charcoal pieces warm up the grill grate and create a consistent cooking experience. One little known fact about charcoal is that it is actually wood exposed to pure carbon for a period of time. While anyone can make charcoal themselves, bags of charcoal can be purchased at any appliance store such as Home Depot, Lowe’s, and other retailers. How Do Gas Grills Work? When it comes to gas grills, there are two different types: propane and natural gas. Both require a lot more components than a typical charcoal grill, as they are made up of hoses, valve regulators, burners, starters, a cooking surface, a grill body, a grill hood, and of course, a gas source. The hoses and valves allow the user to control how much gas can be released in order to grill the food. The gas itself comes from a tank, such as a propane tank, and can be controlled and released by knobs that connect to the valves and primary hose. A grill starter ignites the gas with a spark and sends it to the burner where the flame is evenly spread across for a consistent grilling experience. How Much Does a Charcoal Grill Cost? Most charcoal grills range from $100 all the way up to $1,000. You can also probably find a pretty decent charcoal grill for less than $100 as well, as charcoal grills tend to be pretty affordable. There are definitely plenty of options more affordable than one in the thousand-dollar range. A quick search turns up grills that are more around the $200 to $300 range. How Much Does a Gas Grill Cost? It isn’t as likely for someone to find a gas grill under $100, simply because they are just too complex to sell at a cheaper price, at least in retail stores. The cheapest ones start around $100 while the most expensive gas grills can go as high as $3,000. With that said, there are plenty of affordable options for gas grills available as well as more advanced and pricier options for gas grilling connoisseurs. One of the most notable charcoal grill brands is Kingsford, though they primarily sell their popular bags of charcoal. One grill that they offer is the 14” Black Portable Grill for $19.99, a portable and adorable choice for grillers on the go. 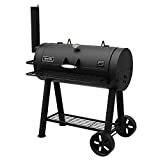 There are also bigger options available for charcoal grills, such as the Kingsford 30’’ Barrel Grill which is currently on sale at Walmart for $67.28 (originally $119.00). It has consistently received good reviews. 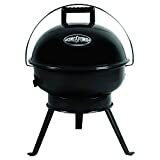 Other brands and models have also been received well in the charcoal grilling community, including the Weber 441001 Original Kettle 18-Inch Charcoal Grill voted as an Amazon Top Choice. It retails for $79. In the $200 range, the Dyna-Glo Signature Series Heavy Duty Barrel Charcoal Grill retails for $280.49 and features both a grill and cooking zone for multiple cooking needs. It is a cylinder shape and takes up more space than the basic rounded charcoal grills, but comes with more accessories and features like the temperature monitor and a heat resistant handle grip. 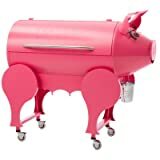 There are even uniquely-shaped grills out there such as the Traegar Lil’ Pig Pellet Grill, which is a charcoal grill in the shape of a pink pig, presumably for pig pickins’ and barbeques. While these grills are not the only available options for charcoal grills, they are a few different charcoal grills that help show the wide range of options. Weber is a popular brand for gas grill models and consistently shows up on searches for current gas grills. The Weber Q 1200 Propane Gas Grill is one best-selling choice of gas grill from Weber, its size at only 189 inches with full power from an infinite controller valve. It is also rated around five stars, is portable, and affordable, retailing for $199. The number one bestselling gas grill on Amazon is the Coleman Classic Propane Stove, which functions as both a stove and grill. It boasts about its portability and great use for camping trips. It is a very affordable model, retailing at $32.99. As for more expensive options, the Napoleon 51″ Freestanding Grill 35″ Cooking Surface is available in both liquid propane as well as natural gas. It comes with cooking grids tube burners, and other features that make the model more advanced than cheaper ones. This model is pricier, listed at $658.30, which is a reduction in the original retail price of $810. Dimensions: 25L x 51W x 48H in. So, how will the charcoal vs gas grill debate end? Before we can address which type of grill is better, we need to explore the pros and cons of both grills equally. For starters, many people comment on the different taste that food has based on whether or not it was cooked on a gas grill versus a charcoal grill. Charcoal grills are notorious for being a bit messier than a gas grill because of the soot and other residue left behind after cooking. However, people notice the difference in the taste saying that they like the smoky charcoal taste as opposed to the more straightforward taste from the gas grill. Others have cited concerns about the potential toxins that can seep into food with either grill, though many have feared the presence of carcinogens in charcoal. However, no big studies have suggested that charcoal grilling is permanently dangerous. As for which is cheaper, most charcoal grills are cheaper to buy than a gas grill, but you can easily find options on both sides that are affordable. Brand new charcoal grills are easily available for under $100, while it is much harder to find a new gas grill under $100. As previously mentioned, there are plenty of charcoal and gas grills that are similarly priced, but gas grills have a more expensive range. 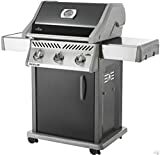 As for setup, gas grills have a lot more parts laced into the product, as opposed to a standard charcoal grill which has just three main sections a griller would have to worry about. If you are just beginning grilling, a gas grill may not be the most user-friendly option. Troubleshooting or performing maintenance on a gas grill may be more confusing than a charcoal grill with all of the extra valves and tubing. But many people argue that gas grills are more energy efficient and environmentally cleaner than a charcoal grill, as it does not produce toxic fumes or smoke in the air around the grilling area. It can be hard to get rid of the charcoal smell in clothes or even within a house if grilling is prolonged and near an open door. Some experts like to take a different approach to the debate. The New York Times argues that the argument should not be which one is better, but rather which is better for a certain kind of food. That is not to say that each household should own both a charcoal and a gas grill, but that they should rather choose a grill based on what kinds of food they like to consume. Though it is a non-committal answer, the ultimate choice completely depends on an individual’s tastes and interests. For those who are concerned about the environment, a gas grill might be the better option. For those looking for a simple backyard grill for not too much money without sacrificing taste, a charcoal grill may be the right option. So. the debate between charcoal vs. gas grill will probably continue for a long time. What is a Gevalia Coffee Maker and How Do They Work? What is the Average Price for a Gevalia Coffee Maker? Where are Gevalia Coffee Makers Sold? What are the Features of the Gevalia Coffee Maker? What are the Different Models of the Gevalia Coffee Maker and Add-On Accessories? What Makes the Gevalia Coffee Maker Different from Other Coffee Makers? Coffee is one of America’s favorite beverages. It can be found in homes and business offices across the world with no indication of the booming industry stopping anytime soon. One of the most recent innovations in coffee making are the single cup coffee makers that have been popular in recent years. The Gevalia coffee maker is a potential option in single cup coffee makers that are available for purchase. This article will be an overview and review of the Gevalia coffee maker by presenting a wide range basic information about the coffee maker, assessing past reviews, and presenting our own verdict about the coffee maker. This article is not intended to sway opinions one way or the other, but rather present fair and truthful information about the Gevalia coffee maker based upon consumer and expert reviews and information provided by the company. Our reviews are not sponsored by any company or brand and are intended to aid in thoughtful decision-making before purchasing a product. Gevalia coffee makers operate by making one cup of coffee at a time. The user must first place a cup beneath the faucet of the coffee maker and then select the appropriate size of the cup on the interface. By inserting a flavor pod or “flavor disk” into the top portion of the machine, the water can filter through the top of the pod and begin to brew the coffee. The science of coffee makers can be a little complicated, but nevertheless fascinating. In both traditional drip coffee makers and single serve coffee makers operate by using a complex mix of parts to create a functional coffee maker, including a one-way valve, water reservoir, heating elements, and more. After pouring water into the reservoir and inserting the flavor disk, the internal heating system activates by a switch and water flows through the main one-way valve and begins to boil. The water spreads across the coffee beans in the machine and evenly spread over coffee beans. The mixed water and coffee then drips into the main pot and collects until the coffee is finished and it’s ready to enjoy! The price of the Gevalia coffee maker completely depends on the model. There are only two models currently available of the Gevalia coffee maker: the Tassimo T55 and the Tassimo T47. Both retail for $139.99 and have different features that make them unique, though nothing too incredibly drastic. As for how the price compares to similar models from other brands, it is a little pricy for the basic functions it has, but is not outrageous. Gevalia coffee makers are available directly on the Gevalia website. They are also sold at some home appliance stores, or stores that sell home appliance products – including Home Depot, Bed, Bath, and Beyond, Target, and other similar stores. It is also sold through the e-commerce store Wayfair and delivery giant Amazon. You may also find Gevalia coffee makers sold through secondary sellers such as on the Facebook marketplace, eBay, Amazon marketplace sellers, and many more venues. However, always use caution when purchasing something from an unauthorized dealer, as warranties are not typically extended to customers buying these products secondhand. There are currently only two coffee makers available from Gevalia: the Tassimo T47 and the Tassimo T55. The Tassimo T47 comes with the trademarked Intellibrew™ Barcode Technology that claims to automatically level the amount of time, temperature, and water the coffee maker uses. An average beverage made with this coffee maker is ready within a minute without any preheat time necessary. Most cups, including travel mugs, fit within the chamber for easy use. The T47 is in a very round shape. The Tassimo T55 also comes with the Intellibrew™ Barcode Technology that is slightly more advanced than in the T47 model, featuring the ability to scan each T DISC. This model in particular uses low energy consumption and a quieter brew. As opposed to the T47 model, the T55 is a more squared off model. Both models only come in a matte black color, making the color options extremely limited and not very exciting. Although, if someone is looking for a basic black colored coffee maker, then the Gevalia may be a good fit. Gevalia somewhat competes with the Keurig brand of coffee maker, though more detail will be given for that later in the article. Other competitors include every other brand that sells both single cup coffee makers and traditional drip coffee makers as well. It is much different from a standard drip coffee maker in regards to how much product it can make at once. However, it is hard to pinpoint what makes this product any different from all other copycat Keurig-type machines. Sure, it has patented technologies and offers an impressive fast brewing rate, but it does not stand out from other coffee makers on the market today. Customer feedback about individual models can be found directly on the site beneath the specific coffee maker page. On both models, the reviews average at four stars on the Gevalia website. For the T47, the pros reported by the customers include the quick brewing time and a consistent, quality brew. As for the cons, some people wrote that their machine broke within the month, even the year. Fortunately, whenever there are customer complaints, most get custom responses from Gevalia representatives with a prompt to call the customer service line and a promise to help fix the problem. However, customers reporting their experiences on Consumer Reports have a much different experience, with an unusually large amount of one star reviews on the T47 model. Users reported the pros of the T47 include its durability, its nice style, it’s easy to use design, and how easy it is to clean. The cons reported include that it is loud, has limited features, and may grow mold. As for the T55 model, the reviews are also mixed. Though it has achieved an overall rating of four stars, it is a steady mixture of either five or one star reviews. Some reviews praise the model while others claim that their machine broke or never functioned after purchase. One review notes that their machine cannot properly read the flavor disks and will not function. Like the T47, Gevalia has also made an effort to respond to the T55 negative reviews reporting problems with their customer service line. Even with the offer of customer service consistently on their website, that has not absolved all of the issues that users report. As a matter of fact, it sometimes has made the problem worse. The reviews reported on Consumer Affairs – not to be confused with Consumer Reports, though both sites compare and contrast appliances – are particularly atrocious, especially in regards to their online payment system and subscriptions where there seems to be an overwhelming amount of trouble. One review notes that their free shipping on subscription orders of coffee flavor pods have not been going through, complications with credit cards, and other issues involving payment plans that had gone smoothly with sudden extra charges appearing on bill statements. There are not many reviews though Consumer Reports about the product itself, but rather the quality of Gevalia's customer service. The phone line is not described in a very positive light, many reviews noting long waits and poor rapport with customer care representatives. Many do make note that the products themselves (the coffee and coffee makers) are not of bad quality, tasting and working up to par. 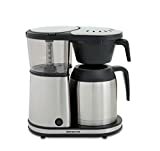 An expert review from Consumer Reports noted that the Gevalia coffee maker was not the most impressive single serve coffee maker that they tested, but the review was for an older and presumably retired model. Though the quality of the machine was rated lower than probably desired, the pros determined that the coffee was less than desirable, adding that it had “notes of plastic” in the flavor. The same model was criticized for malfunctioning within the first few minutes of plugging it into the electrical outlet and still not working after three attempts at use. Again, this was a review for an older model that does not seem to be sold through official retailers any longer, so it may not be a proper expert reflection on the current models. Even so, it does not present a good image of the brand’s coffee makers overall. The Gevalia also fails to appear on “Best Of” lists, consistently beat out by brands such as Keurig, Cuisinart, Bonavita, and more coffee maker giants. Even without expressly mentioning it, it seems that experts have snubbed the Gevalia brand of coffee makers without needing to explicitly say that they do. The Gevalia coffee maker is a very basic appliance. It does not offer anything particularly more special than other single cup coffee makers, but seems to still be sought out as a popular and viable option as a Keurig alternative. Gevalia has a much wider range of accessories on their site than they do coffee makers, mostly silicon travel cups, coffee pod refills, glass cups, and other home appliance accessories. They of course also sell the flavor pods for their coffee makers. Gevalia even offers a waffle maker! We can’t conclude this review without once again mentioning Keurig more in-depth. At first glance, Keurig seems like a competitor of Keurig, but Gevalia offers plenty of coffee pod options with Keurig’s namesake attached to it, making it appear as if they have a business partnership. So while they may not be big competitors, they both offer very different single cup coffee makers with very different perceptions. As opposed to Keurig, Gevalia has a very humble selection of single cup coffee makers. There are only two models currently available and they are really not too much different from each other. Both of the Gevalia coffee makers are even the same price and almost indistinguishable besides the updated exterior design of the T55. The differences are very minor. If you are deciding between the T47 and the T55, we recommend the T55 since it is a newer, updated model for the same price as the older T47 model. While neither model is a bad investment, if you are looking for a brand with a variety of different options, then Gevalia’s brand may not be right for you. If you want a coffee maker experience without the fuss of finding one with a bunch of unknown patented technologies, this might be a better fit for you. Overall, the Gevalia coffee maker models may not be the best fit for consistent and high-quality coffee due to too many customer and expert complaints about the brand. There are plenty of great coffee makers that can get the job done, but we are all curious about which one is best for our needs. The Bonavita coffee maker is an option that some people may consider before seriously purchasing a coffee maker. This article will explore many facets of the Bonavita coffee maker and if it is worth purchasing. What Makes the Bonavita Coffee Maker Different from Other Coffee Makers? 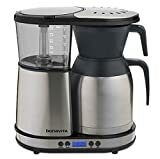 Keep reading for information pertaining to how the Bonavita coffee maker works, the price range of the products, where they are sold, the key features, the different models, reviews, and other relevant information. This article is not intended to sway opinions one way or the other, but rather to present fair and truthful information about the Bonavita coffee maker based upon consumer and expert reviews and information provided by the company. Our review is not sponsored by any company or brand, Bonavita or any other coffee maker product and is solely intended to help consumers make an informed decision before purchasing a new coffee maker for their home or office. What is a Bonavita Coffee Maker and How Does it Work? As opposed to coffee makers that require a single cup or pod to create coffee like the wildly popular Keurig coffee maker and similarly designed products, the Bonavita coffee maker looks and functions more like a traditional drip coffee pot. The science of coffee makers can be a little complicated, but nevertheless fascinating. 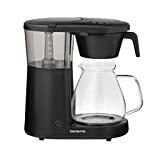 Drip coffee makers such as the Bonavita operate by using a complex mix of parts to create a functional coffee maker, including a one-way valve, water reservoir, heating elements, and more. After pouring in water into the reservoir and scooping in the coffee beans, the internal heating system activates by a switch and water flows through the main one-way valve and begins to boil. The water spreads across the coffee beans in the machine and evenly spread over coffee beans. The mixed water and coffee then drips into the main pot and collects until the coffee is finished and is ready to enjoy! Coffee makers are not the only thing that Bonavita sells. The brand also offers several other products including kettles, glassware, scales, and more. What is the Average Price for a Bonavita Coffee Maker? The price point depends on the model as listed below. For more information about each model, see the “What are the Different Models of the Bonavita Coffee Maker and Add-On Accessories?” section. Connoisseur 8-Cup One-Touch Coffee Brewer: This model retails for $159.99. 8-Cup One-Touch Thermal Carafe Coffee Brewer: It retails for $159.99. 8-Cup Programmable Thermal Carafe Coffee Brewer: This model retails for $199.95. 5-Cup One-Touch Thermal Carafe Coffee Brewer: This model retails for $109.99. 8-Cup One-Touch Glass Carafe Coffee Brewer: This model retails for$159.99. Metropolitan 8-Cup One-Touch Coffee Brewer: This model retails for $99.99. 8-Cup Programmable Glass Carafe Coffee Brewer: This model retails for $179.99. 8-Cup One-Touch Glass Carafe Coffee Brewer: This model retails for $129.99. 8-Cup Glass Carafe Coffee Brewer: This model retails for $129.99. 8-Cup One-Touch, 220-volts Thermal Carafe Coffee Brewer: This model retails for $189.99. Where are Bonavita Coffee Makers Sold? These coffee makers are sold through the official Bonavita website and other retailers such as Amazon, Kohl’s, and Home Depot. You may also find Bonavita coffee makers sold through secondary sellers such as on the Facebook marketplace, eBay, Amazon marketplace sellers, and many more venues. However, always use caution when purchasing something from an unauthorized dealer, as warranties are not typically extended to customers buying these products secondhand. What are the Features of the Bonavita Coffee Maker? These features completely depend on the model. For a more accurate listing of features for each of the ten models, then keep reading. What are the Different Models of the Bonavita Coffee Maker and Add-On Accessories? The Bonavita coffee maker currently comes in 10 different models. All have unique features that make them special. The Bonavita site also allows you to compare their different models side by side with a handy chart. This is a newer model just listed on the site. It contains a 1,500 watt heater capable of maintaining It features a hanging filter basket and has a signal for when the brewing is done. It has a built-in showerhead design in order to evenly ground and distribute coffee beans and is made of stainless steel. This model has a unique double-walled glass carafe included with the product. It also uses the showerhead design other Bonavita products have as well as one-touch brewing to make it easy to use. It has a 1,500 watt heater capable of making coffee around 195 to 205 degrees. This model makes a 5 cup carafe within six minutes and has a powerful 1,110 watt internal heating power. Like the 8-Cup Programmable Thermal Carafe Coffee Brewer, the 5-Cup model has a unique double-walled glass carafe included with the product. This model features a warming plate, optional pre-infusion mode, a 1,500 watt heater, programmable auto-start time, and showerhead design. This model features a warming plate, a heater at 1,500 watts, pre-infusion mode, one touch brewing, a glass carafe with automatic shut off after 90 minutes, an LED light to indicate cleaning time, and a two year limited warranty. This model has a little less wattage than others, containing a heater at 1,400 watts. It also features a warming plate, a glass carafe with automatic shut off after 90 minutes, an LED light to indicate cleaning time, and a two year limited warranty. 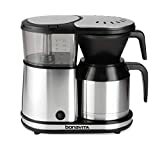 Unlike other models listed, this model features a EU or UK plug along with many of the other features listed for most of the other Bonavita coffee makers. Other features include a warming plate, filter basket, optional pre-infusion mode, a 1,500 watt heater, a black stainless steel brewer body, and showerhead design. As opposed to the more modern single cup coffee maker, the Bonavita coffee maker is an updated take on the traditional coffee maker and makes a full pot worth of coffee while not sacrificing new and innovative technologies such as a warming plate or hanging filters. It’s fun and unique shower head design included with all of the coffee makers helps for the even distribution of the coffee beans for the best flavor. Many of the models include a warming plate, a hanging filter, and a glass carafe for pouring. The Bonavita has a nice, straightforward design that is similar to older models of other coffee pots without looking too old fashioned or over-the-top for classic familiarity. No reviews are readily available under the product descriptions on the Bonavita website, so to find real customer reviews, you have to venture elsewhere. The reviews are not impossible to find, but it is a little confusing to not have reviews of your products listed directly for customer ease. Nevertheless, Consumer Reports had customer reviews listed for various models of the coffee maker. The top pros of the Bonavita were listed as a machine that brews quickly and was easy to use. One con is that like many single serve coffee makers, you must wait for the brewing cycle to end before you can shut the machine off. The Bonavita averaged out at about four stars overall. Verified users on Amazon reported similar findings consistently with their Bonavita coffee makers as well, citing its consistent temperatures and brewing abilities. Some reported the machine breaking down after a year and that the carafe is not the best quality, requiring that you must turn the entire carafe upside down to be able to get all of the coffee out. CNet rated the Bonavita BV and similar models favorably. While it notes that it may not look as pretty or sleek as similar coffee makers, it is essentially the same product for a reduced price. It is praised for simple use and its affordability as compared to the rival Techniform brand. It got a score of 8.6 overall rating highest in performance and maintenance. However, the website Coffee Concierge, a popular coffee and coffee maker critique site, did not report the same results for the Bonavita. Though it noted positives such as the no-spill thermal carafe, BPA free design, and showerhead design, it called out its poor water filtering consistency through the holes of the showerhead and the short power cord. All of the models are fairly affordable and range from basic to advanced options, meaning there is a model suitable for anyone. As previously mentioned, the design of the Bonavita is straightforward and neat, which many people look for in a modern home. Though they do not come in an abundance of fun colors, they have a basic neutral palette of colors that blend in with any kind of interior design. For those looking to try single use coffee makers, this is definitely not the model you want to look for, as it brews a small pot’s worth of coffee as opposed to just one. For those who are fans of traditional coffee makers, the Bonavita coffee maker is available in all of the options a customer could hope for with something that is right for everyone looking for this type of coffee maker. All in all, the Bonavita model of coffee maker seems to be a well-made machine that is able to offer both great functionality overall as well as a sturdy, nice design that blends in perfectly with any home or office. So if you are feeling a little nostalgic for a classic coffee maker, the Bonavita could be the perfect addition for you. Keurig coffee makers have made their presence known in many workrooms, employee lounges, and homes across the world. Their innovative design pioneered the fast, single coffee cup worth of coffee in the morning. What are the Different Models of the Keurig Coffee Maker and Add-On Accessories? What Makes the Keurig Coffee Maker Different from Other Coffee Makers? This article aims to help you make an informed choice as a consumer before purchasing a Keurig coffee maker by explaining how they work, where they are sold, how much they cost, the current models on the market, and all of the other important decision-making factors for buying a new home appliance. What is a Keurig Coffee Maker and How Do They Work? The Keurig coffee maker (or just Keurig for short) is an innovative spin on the traditional coffee maker by producing one cup of coffee at a time. With tons of different flavors and coffee brands available in each K cup, there are plenty of options to choose from. The Keurig coffee maker works by inserting the custom “K Cups” into the top of the coffee maker. When you close the top, a needle punctures the top of the K Cup. Once you pick the cup size, the water filters through the punctured area of the K cup and begins creating your custom cup of coffee. There are many models and designs of the Keurig available on the market today. They're available in different sizes shapes and colors for maximum home customization capabilities. What is the Average Price for a Keurig Coffee Maker? Keurig coffee makers can range from around $50 all the way up to $200 depending on the model and its features. Keurig K-Classic Coffee Maker: This model retails for $119.99. Keurig K-Mini Single Serve Coffee Maker: This model retails for $79.99. Keurig K-Elite Coffee Maker: This model retails for $169.99. Keurig K50 Coffee Maker: This model retails for $99.99. Keurig K-Select Coffee Maker: This model retails for $129.99. Where are Keurig Coffee Makers Sold? 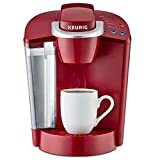 Keurig coffee makers are sold at any home appliance stores or stores that sell home appliance products, including Best Buy, Bed, Bath, and Beyond, Target, Kohl’s, and many more. Keurig also has their own official website which sells the coffee maker as well as K Cup (or pod) refills. You may also find Keurig coffee makers sold through secondary sellers such as on the Facebook marketplace, eBay, Amazon marketplace sellers, and many more venues. However, always use caution when purchasing something from an unauthorized dealer, as warranties are not typically extended to customers buying these products secondhand. As for the K Cup pod refills, they can be found at most grocery stores as well as the Keurig website. You can even select auto-delivery options for pod refills if you use your Keurig regularly by setting it up on the website. It promises a commitment-free experience so that you can cancel at any time. What are the Features of the Keurig Coffee Maker? Most every Keurig has a button navigation system that is easy to use. Most of the Keurig systems also come with at least one box of coffee pods, though you can also purchase ones without them. The pods come in many different flavors and brands. You can even purchase name brands such as McDonald’s McCafé, Starbucks, Folgers, Caribou, Dunkin’ Donuts, Krispy Kreme, and more. There are currently 25 models listed on the Keurig website organized by their popularity and ratings. For simplicity, we have decided to list five different models that encompass their product range. The K-Classic model is a fairly basic model of the Keurig. It is capable of making three different sizes of beverages, including 6 oz., 8 oz., and 12 oz. It is operated by a button control panel and comes in both black as well as rhubarb (a red color). It has a water capacity of 48 oz. and has an average star rating of 4 stars. The smallest and arguably the cutest Keurig model, the Keurig K-Mini Single Serve Coffee Maker is great for limited counter space and small nooks in a room. It comes with four brewing sizes and is operated with button controls. The model comes in matte black as well as oasis (a light blue green color) and was very recently released in standard and plus models. The K-Elite makes five cup sizes, including 4 oz., 6 oz., 8 oz., 10 oz., and 12 oz. cups. A notable feature about the K-Elite is that it has a Strong Brew setting for strong coffee and has a sleek, metallic finish. Additionally, it is perfect for making iced coffee with the Iced Setting. It has an impressive 75 oz. water capacity, capable of making up to eight cups of coffee before having to refill it. It comes in the colors of Brushed Slate (black) and Brushed Silver. The Keurig K50 is an earlier version of the K-Classic and is most popularly paired with bundle sets. See the K-Classic description for more details about the appliance itself. Bundles available with the Keurig K50 include the McCafé, Krispy Kreme, Dunkin’ Donuts, Starbucks, and the Experience Bundle featuring a sample of many types of pods. The K-Select model can brew four different sizes, including 6 oz., 8 oz., 10 oz., and 12 oz. sizes. It has a 52 oz. water reservoir and a Quiet Brew feature that reduces the noise made by the machine during use. This model comes in Matte Black, Matte White, and Vintage Red as color choices and is made of a fingerprint-resistant material for a clean, sleek look. As opposed to a traditional coffee pot or other coffee maker, the Keurig makes coffee by the cup to reduce the amount of coffee you must make. It is perfect for the person who would rather not have a pot of coffee lying out all day and just needs enough for one cup. Other brands have made similar single cup coffee makers like the Keurig, including Gevalia, Cuisinart, Primula, Ninja, among other choices. But many still lose to the Keurig coffee maker in popularity. Keep in mind that the Keurig website allows customers to compare and contrast each of their models together in order to see the different features of each before making a purchasing decision. However, it does not compare the Keurig models to other single serve coffee maker brands. Feedback about Keurig coffee makers completely depends on the model, but the overall perception of Keurig is fairly positive. Each Keurig listed on their website normally gets four to five star reviews. Though feedback completely depends on the model purchased, many applaud each of the coffee makers for their design and efficiency. For example, reviews of the K-Mini model report that it is just as easy to use as a larger Keurig for less space consumption with no reviews at the two or one star level. The same cannot be said for the K-Classic, though most of the reviews are positive. An unusually high number of one-star reviews report that the model breaks down within a year, making the $119.99 cost point as way too high for the model. The K-Elite has an impressive record of five star reviews with comments claiming the quality and taste of the coffee brewed is better than past models. Some criticisms about the K-Elite range from the quality of the instruction manual to leaving large coffee ground chunks in completed drinks. The K50 is similar to the K-Classic and does not have reviews listed for the bundle packs on the website, but that does not mean reviews do not exist elsewhere. There are plenty of reviews of the model located on Amazon that rate it very consistently at five stars with some variation. One review noted that if you descale the model, it makes a very loud sound when making coffee and that it starts to malfunction soon after purchase. However, these reviews do not come up often and the majority of the reviews report overall great satisfaction with the model. The K-Select model averages at around a four star rating. Though most of the reviews report the product at five stars, there is a fairly even number of four, three, two, and one-star reviews. The one star reviews are from customers experiencing technical difficulties, such as the pod area of the machine breaking apart or becoming defunct after descaling due to technical problems. Some complaints are fairly recent, such as within the past few months. On the site Consumer Reports, there is a large mixture of reviews from verified customers from all over the United States. There seem to be either five star or one star reviews without much room in the middle, indicating that a customer’s experience is either great or awful. This is perhaps due to inconsistent assembly or factory oversights from large scale productions of the product. Overall, it seems that Keurig is very attentive to reviews that report problems with their machines and often leave notes urging the customer to call customer service for support. No matter how popular Keurig coffee makers are with the general population, there has been plenty of pushback from financial and environmental experts. Business Insider published a piece about the price of coffee from a Keurig coffee maker being five times the cost of making a pot of coffee the old fashioned way, making it a more expensive option for a lot less coffee. A similar piece was published by Time magazine’s “Money” section with the same results. Another problem that can come from Keurig coffee makers includes their impact on the environment. While some have praised the Keurig and the K cup for their innovative design, others criticize the design for being environmentally unfriendly and unsustainable. The inability to reuse a K cup is one reason why people may choose not to have a Keurig in their home. However, Keurig has published a statement from their company about their commitment to the environment through sustainability reports about the Keurig Green Mountain Company and others. On the Consumer Reports’ expert review, the Keurig coffee makers reviewed pass inspection. Nevertheless, the Keurig tends to persist as a top-selling coffee maker in many homes and offices. Overall, the Keurig coffee maker is a well-made product available in all sorts of different designs that are perfect for any home or office. Despite their environmental and financial controversies, neither have stopped the coffee maker from being a top seller for their performance. If you are aiming to be more environmentally conscious, it is possible that the Keurig model may not be the best coffee maker for you. While each product is different, they seem to perform consistently no matter which model is purchased with some variations. If you are looking for a coffee maker that makes single servings, Keurig may be the right model for you.